Behexen has always been about two things: perfecting the sound of second wave of black metal, and Satan. They have, thus far, managed this successfully on both counts and on The Poisonous Path, their fifth full-length, you can expect more of the same. Raw, treble-rich, high-gain guitars and praises to the Dark Lord and all his wicked works abound in much the same vein as the three demos, four albums, one EP and two split releases  before this. At least, that’s what detractors might say. 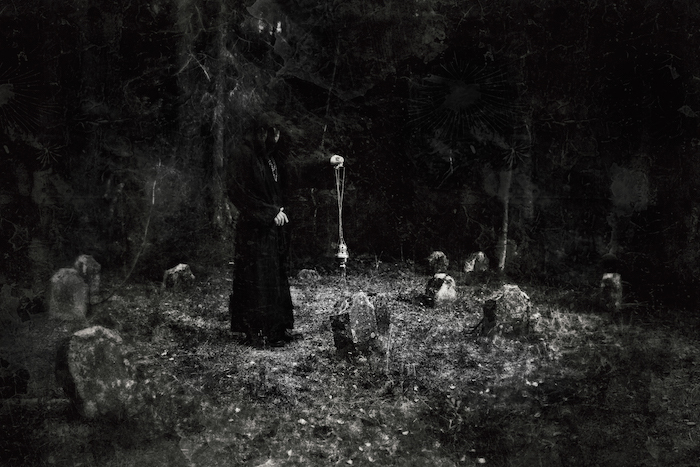 It’s immediately apparent, if you take the time to listen with ears uninfluenced by these nay-sayers, that The Poisonous Path marks a new stage in Behexen’s traditional black metal journey. Even back in their early days (as heard on The Eternal Realm, their demo from 1997) Behexen have managed one thing a lot more effectively than many of their contemporaries: balance. During mastering, Behexen have always achieved what I call a ‘total’ sound, wherein all the instruments occupy equal footing in the mix without sounding flat. Production values have improved with time, but this attention to the final mix has stayed constant. 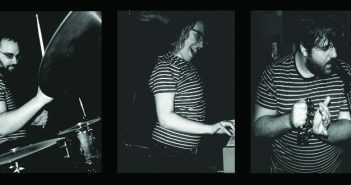 The great thing about this is how no instrument dominates another: the bass stands out as both a melodic and a rhythmic element, the guitar presence and vocals complement and overlay one another, building texture and atmosphere throughout while the drums are an ever-present, rolling backbone holding the whole together. Described like this, the approach seems like common sense, but it is rare for bands to actually achieve this. On top of this, one element of The Poisonous Path really stands out as an evolutionary tactic: Hoath Torog’s vocal performance has noticeably grown from his raw screeches of early recordings, through a more melodic (‘singing’ rather than ‘screaming’) approach on 2012’s Nightside Emanations to a cleaner, yet still guttural chant on The Poisonous Path. This last is reminiscent of Atteringer’s recent work with Gorgoroth on 2015’s Instinctus Bestialis, for a more established touchpoint. One thing that hasn’t changed is Behexen’s penchant for dramatic, suspense-filled introductions – but the clichéd funereal tolling bells, pipe organs and ritual chants they have favoured in the past  are replaced by real instrument sounds and ‘The Poisonous Path’, the album opener, gets down to the business of thrashy riffing less than half a minute into the song. The dual cowbell tones of the chorus add a delightful, if simple, harmony to the overall arrangement. Pleasantly, the aforementioned riffing favours a more open approach over heavy palm muting across the entire album. The resulting ringing sustain builds an effective layer of guitar atmosphere without the need to resort to virtual instruments or over-theatrical orchestral pieces. ‘Chalice of the Abyssal Water’, the album teaser that label Debemur Morti shared publicly on 20th April , is a great choice for pre-release as it sounds the most like Behexen as we knew them before The Poisonous Path, but still highlights the lower pitch Hoath Torog has settled into for his vocals. It also introduces slower, introspective passages that are out of keeping with Behexen’s usual output. It’s in these more doom-like passages that the influence of other bands that share Behexen members is felt – especially the likes of Horna and Nightbringer . If there is something that does count against this latest album and its ‘new’ sound, it must be that it is fairly overpowering, and the band doesn’t really stray from this (poisonous?) path. Every song sounds fairly similar to every other, leaving nothing as a truly stand-out track. That said, there is no shortage of memorable moments on the album: the occasional guitar melody with only minimal drum accompaniment on ‘Cave of the Dark Dreams’ is one. The inchoate screaming for backing vocals in the choruses of ‘Gallows of Inversion’ is another, along with the ambient soundscape outro on ‘Chalice of the Abyssal Water’ – a piece of music that seems lifted directly from Twilight of the Idols-era Gorgoroth. The album closer, ‘Rakkaudesta Saatanaan’(the only track in their native Finnish on the album) track also has serious goosebump moments: a simple minor chord melody, combined with specific vocal inflections, really put you in mind of early Taake releases. 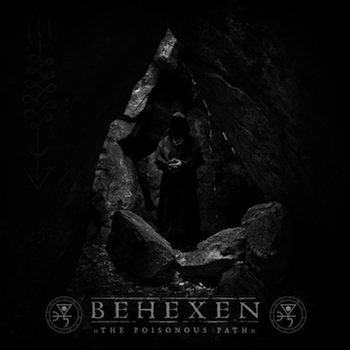 So The Poisonous Path takes its place as my favourite Behexen release so far: it is a well-realised, extremely well-produced and powerful black metal album. It may not have the exotic appeal of Rotting Christ, the rawness of Naðra or the bleak atmosphere of Mgła, but it’s definitely one of the most listenable, compelling black metal releases of the past year. 1. 2004 saw a split release with Horna and 2008 with Satanic Warmaster, both staples in the Finnish black metal roster. 2. See the imaginatively named ‘Intro’ from 2012’s Nightside Emanations, ‘Let the Horror and Chaos Come’ from 2008’s My Soul For His Glory and ‘Intro/The Summoning’ off 2000’s Rituale Satanum as prime examples. 3. The lyric video of this track can be viewed here. 4. Hoath Torog and Horns have both been previously associated with Sargeist, while Shatraug still plays guitars for them; Shatraug also plays guitars in Horna, Nightbringer, Striges, Mortualia and Vordr. It’s a fair assumption that his contributions to these acts can also be heard in Behexen.